Our four transformation priorities are our main areas of focus for transforming health and social care services in Northamptonshire. 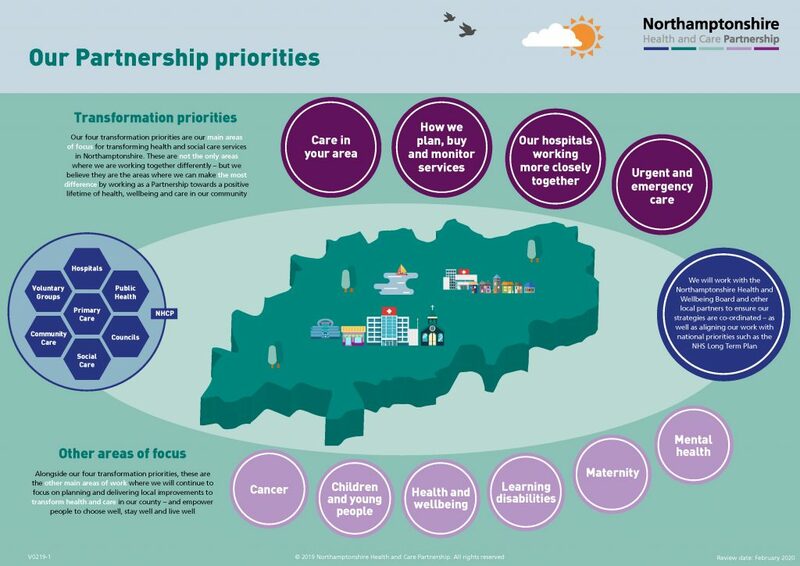 These are not the only areas where we are working together differently – but we believe they are the areas where we can make the most difference by working as a Partnership towards a positive lifetime of health, wellbeing and care in our community. Alongside our four transformation priorities, these are the other main areas of work where we will continue to focus on planning and delivering local improvements to transform health and care in our county – and empower people to choose well, stay well and live well.